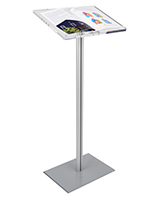 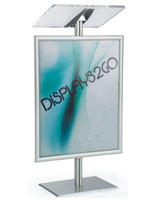 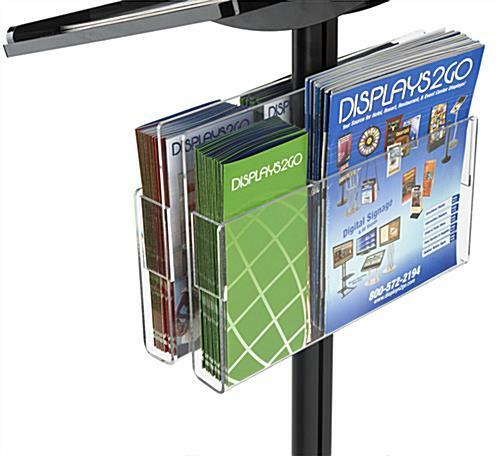 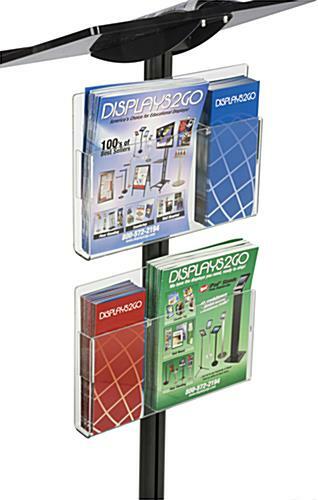 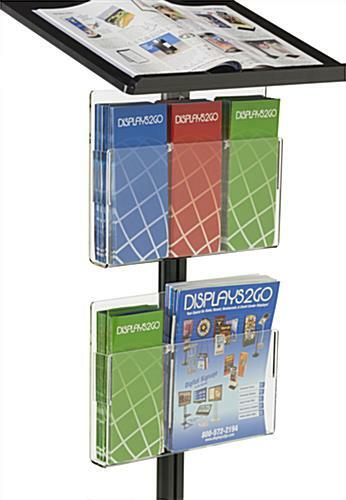 This acrylic podium with removable pockets adjusts to fit newsletters or brochures, menus, catalogs, and flyers. 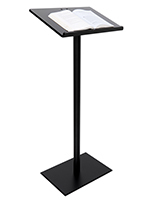 This trade show stand is a black minimalist lectern with trifold dividers that is great for restaurants, convention halls, retail stores, and school auditoriums. 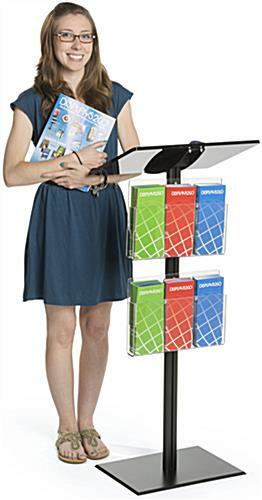 This podium with removable pockets rises to 44" tall and has a 1" edge stop built into the presentation area to keep literature from sliding off. 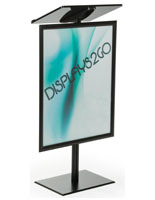 This talking kiosk looks great from back or front, and it's easy to assemble and take down. 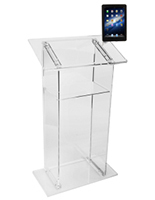 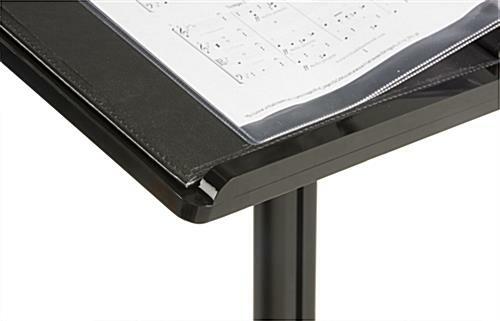 This sleek, modern podium with removable pockets, constructed of anodized aluminum and glossy black acrylic, is built to last through years of use. 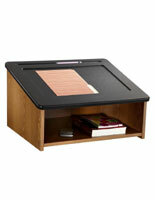 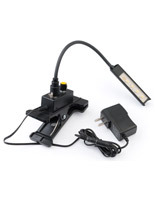 The presentation area has a generous storage area for notes and supporting materials and a sleek look. 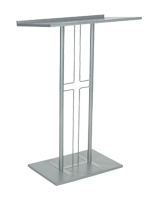 18.5" x 44.0" x 13.0"
14.0" x 10.0" x 2.4"
16.5" x 0.25" x 11.8"